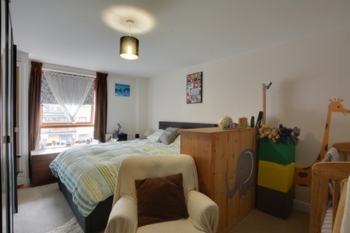 Located on the first floor is this well presented and spacious one bedroom apartment. On entering the property you step in to the hallway which gives you access to all rooms and storage cupboard which is great for shoes and coats. At the end of the hallway is the open plan lounge/diner/kitchen with double doors opening out on to the balcony. The lounge/diner which measure a maximum 17'1 x 15'7" is a great space for relaxing or entertaining and can host a generous amount of furniture, including a range of sofas, dining table and sideboards or shelving units. There are double opening doors which lead you out on the patio, this is a great space for those summer breakfasts & summer evening meals. Located off of the lounge/diner is the kitchen, this is open plan to the lounge/diner and has a range of base and eye level units giving plenty of storage. 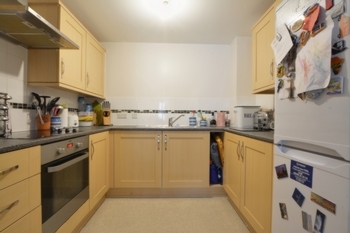 There is space for a tall fridge freezer, washing machine and is fitted with an integrated electric oven, hob and cooker hood. 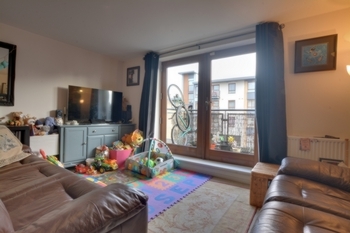 The bedroom is good feature of this property due to its size, the current owners have a range of furniture, including a king size bed, wardrobes, chest of drawers, babies cot and change table. This all show cases the space on offer, without making it feel crowded. Off of the bedroom is the bathroom, this is a 'Jack & Jill' style with a further door leading you into hallway. 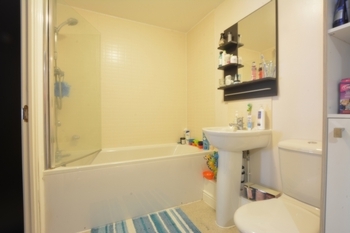 The bathroom consists of a three piece white suite with low level w/c, wash hand basin and bath with shower over the top, its partly tiled and has recently been repainted. 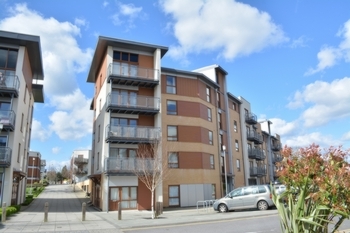 The property is one of the newer blocks at commonwealth drive and benefits from its on combination boiler & 118 year lease. Within the block there is also a lift facility. 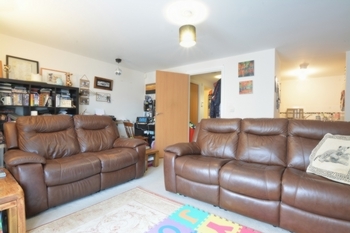 An underground parking space comes with the purchase of the property. Additional permits can be applied for the use of the ground level parking and visitors spaces. 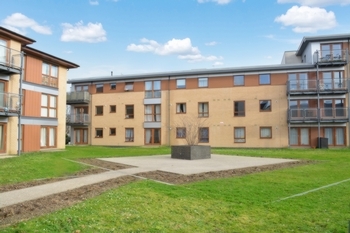 There are communal garden areas, shopping facilities and a dental practice within the development.